What are the benefits of scheduled posting? You can’t just be on Instagram 24/7. Surely you must have a life, a family, and other jobs to do. So you have so many different roles to play during a given week, and If you devote all of your time on Instagram, you can’t succeed in your other rules. Also, Instagram is easy to obsess on, so it’d better if you use it only a few hours a day. The ability to schedule your Instagram feed means you can block out a certain amount of time every day for the task and just be done with it. You can prepare your posts in bulk and save a lot of time throughout your day by not having to use Instagram all the time. As you may know, the engagement you get if you post on each hour of the day is different from each other, and even the result in posting at each day of the week is not the same. Based on researches there are some best times to post on Instagram that will get you the best engagement rate. 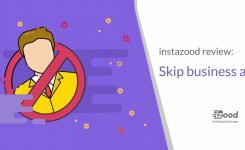 But it is just a waste of time waiting for the right time of the day to post on Instagram, so using Instazood schedule posting feature will make Instagram posting so much easier and efficient for you. You can do all the work when you have the time. Editing the photo, writing the caption, etc. and leave the rest to the scheduling tool and just set the time you want. One of the most important things to run a business on Instagram is to post in the right time and to be consistent so that your audience doesn’t forget about you. You may relatively hit or miss about when you posted. But the feature gives you the ability to post more regularly and create a more consistent looking feed. You will no longer post randomly, and you can create a posting strategy based on your time that works for you. You shouldn’t be on your phone all the time. Life isn’t all about working and the internet. You should be alive, laugh, have some family time and do whatever makes you happy. Using Instagram and other social media can be very addictive so scheduling your posts for a week or so will let you step away from social media knowing all your things on Instagram will be done. That would leave you no excuses to stick to your phone all the time! So what does instazood have to offer about this? Post scheduling: Lets you schedule your posts to publish at the best time to increase engagement. 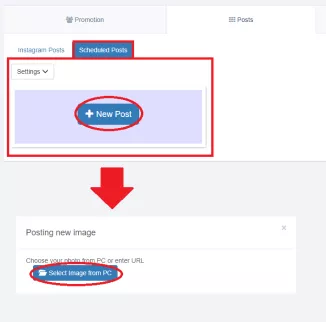 Unlimited Posts: You can add as many scheduled posts as you want in Instazood. Unlimited Cloud draft: You can upload whatever pictures and videos you want on the draft and schedule them later. Scheduling Post Deletion: There is no need to spend your time to delete the advertisement and temporary posts. Instazood will do it for you. Just give it the actual time. 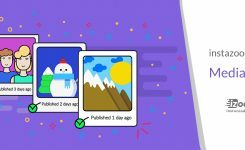 Watermark: You can get watermarks for all your pictures easily to not let others copy and use them without your permission. 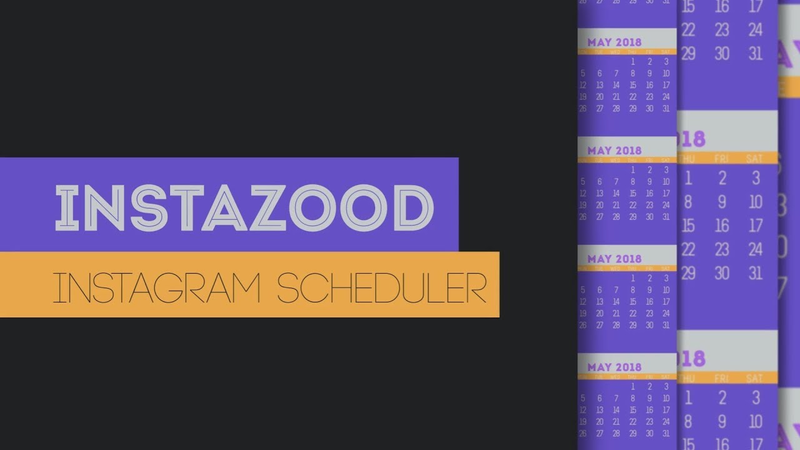 Scheduling Pictures and Videos: You can easily schedule your pictures and videos in Instazood, and soon you can schedule your stories too. First Comment: As you know on Instagram you have character limitation in writing caption for your posts, you are allowed to write 2000 characters on captions. But with the ability to put the first comment with Instazood, you can add the rest of your text to your posts. Location: You can add a location to the post you are scheduling with Instazood. 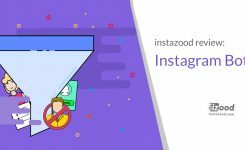 Post Management: you can easily delete the post you published with Instazood, and you can manage the comments and all the other things about your post.